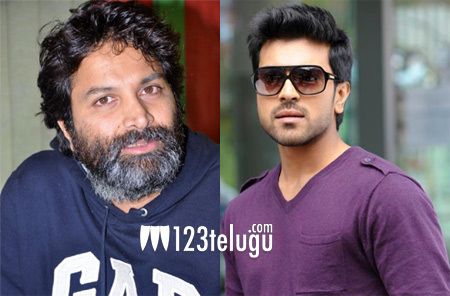 Trivikram to direct Ram Charan ? Mega family fans are pumped up with the announcement made by Power star Pawan Kalyan, that he would be producing a movie with Ram Charan. Even Cherry is excited and expressed his happiness to act under the production of Pawan Kalyan. More information regarding this crazy project is yet to be revealed. According to latest sources, Trivikram Srinivas is set to direct Ram Charan in this project. Ram Charan has earlier announced that he is eager to work with Trivikram Srinivas. Although no official confirmation was received regarding this project , the film industry and movie lovers are very curious about this venture. Keep watching this space for more info.